8/3/15: The active search for 24 year-old Antonio Martins will resume on Tuesday – August 4th 2015 at 8:00 a.m. The Command Post will be located at the Texas EquuSearch office. 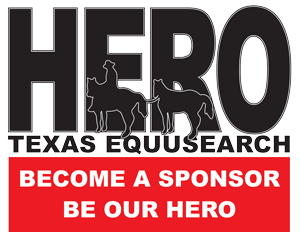 For those of you that haven’t yet been to the Texas EquuSearch office; it is located at 4013 FM 517 near Dickinson Ave. in Dickinson, Texas 77539. The Texas EquuSearch office is in the rear of the Dollar General store. We will be in need of searchers on foot and ATVs. Please bring your own water and snacks, and be sure to dress appropriately for the weather conditions. Your Search Coordinator is Jack Boggess, and he can be reached at (713) 826-3869. This search will be conducted by Texas EquuSearch members ONLY. 8/2/15: The active search for 24 year-old Antonio Martins will resume on Monday – August 3rd 2015 at 8:00 a.m. The Command Post will be located at the Texas EquuSearch office. For those of you that haven’t yet been to the Texas EquuSearch office; it is located at 4013 FM 517 near Dickinson Ave. in Dickinson, Texas 77539. The Texas EquuSearch office is in the rear of the Dollar General store. We will be in need of searchers on foot and ATVs. Please bring your own water and snacks, and be sure to dress appropriately for the weather conditions. Your Search Coordinator is Jack Boggess, and he can be reached at (713) 826-3869. This search will be conducted by Texas EquuSearch members ONLY. 8/1/15: The active search for 24 year-old Antonio Martins will begin on Sunday – August 2nd 2015 at 7:30 a.m. The Command Post will be located at the Texas EquuSearch office. 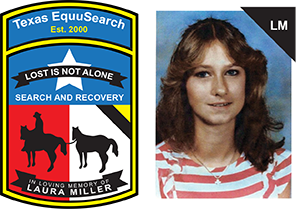 For those of you that haven’t yet been to the Texas EquuSearch office; it is located at 4013 FM 517 near Dickinson Ave. in Dickinson, Texas 77539. The Texas EquuSearch office is in the rear of the Dollar General store. We will be in need of searchers on foot and ATVs. Please bring your own water and snacks, and be sure to dress appropriately for the weather conditions. Your Search Coordinator is Jack Boggess, and he can be reached at (713) 826-3869. 24 year-old Antonio Martins disappeared from the Clear Lake area of Houston, Texas on Thursday – July 30th 2015. Antonio was last known to be wearing black shorts, a white t-shirt and aqua-colored Jordan tennis shoes. Antonio has freckles on his face, tattoos on his arms, and shoulder length dreadlocks. If you have seen Antonio Martins since his disappearance, if you know of his current whereabouts, or if you have any information concerning his disappearance; please contact the Houston Police Department at (713) 731- 5223 – or call Texas EquuSearch at (281) 309-9500.